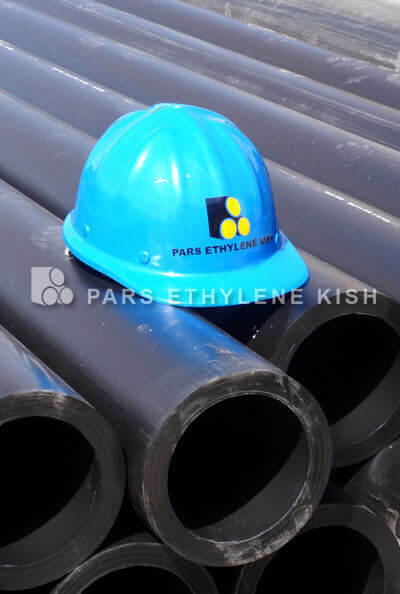 Pars Ethylene Kish Corporation provides the market with a complete collection of Polyethylene (HDPE) pipes and PE fittings with different applications and by the use of the latest technology and equipment of Europe. 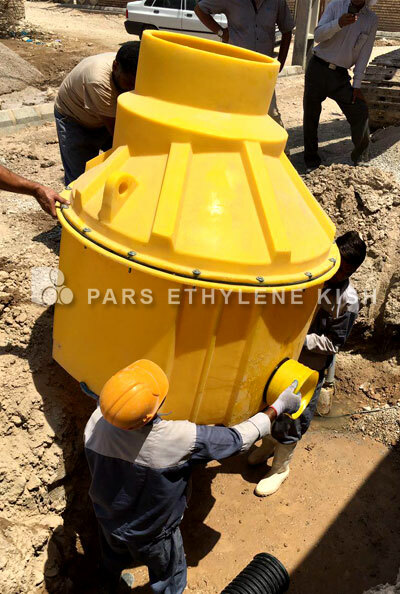 Today PE pipes and fittings are considered as the best choice in various projects because of their high quality & high reliability, easy loading, transferring and installation due to their relatively low weight. 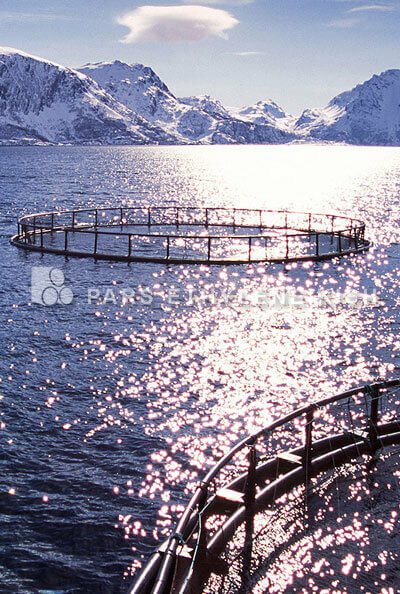 These products also have high bending capability and high resistance to impact and pressure in low temperature environment. 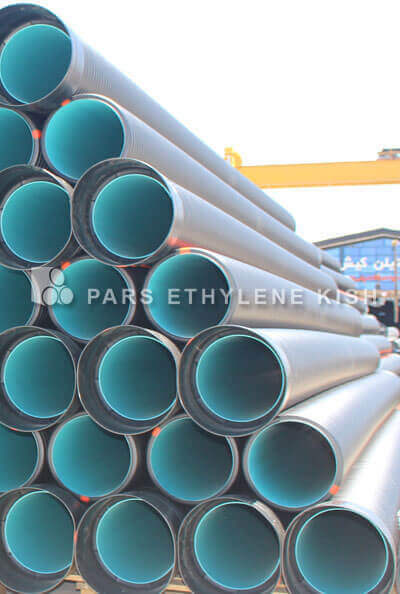 Polyethylene pipes and fittings have lower weight than other types of steel pipes or concrete ones which facilitates their transportation, loading or installation. 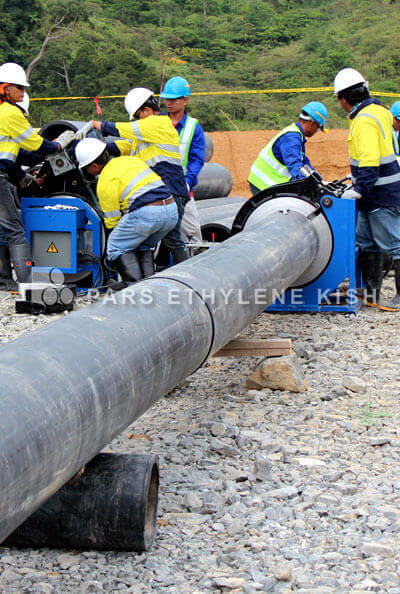 High resistance of PE pipes against impact eliminates needs of applying high pressure or purchasing anti shock equipments. 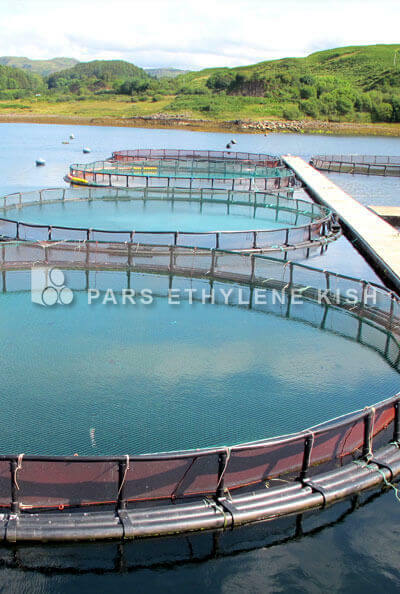 This property reduces running costs and implementing wastes while facilitates performance. These all are valid reasons to replace PE pipes and fittings with concrete ones. 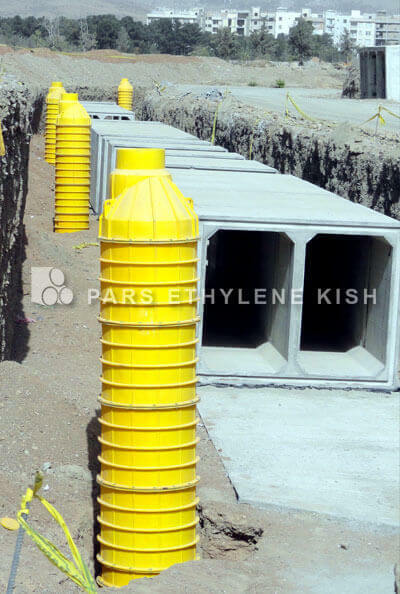 Comparison between PE and other materials has shown that the pipes and fittings made of PE are highly resistant against erosion which makes them a perfect choice for transferring fluids with non-soluble solids, plus they are safe from harms of rodents due to high rigidity of their surface. 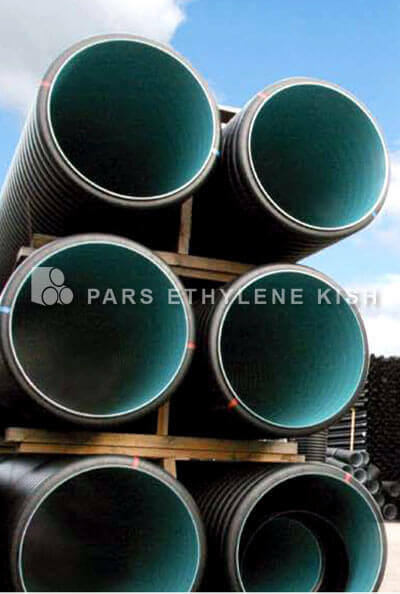 One of the advantages of note for PE pipes and PE fittings is that they are not affected of acidic and basic chemical environments. 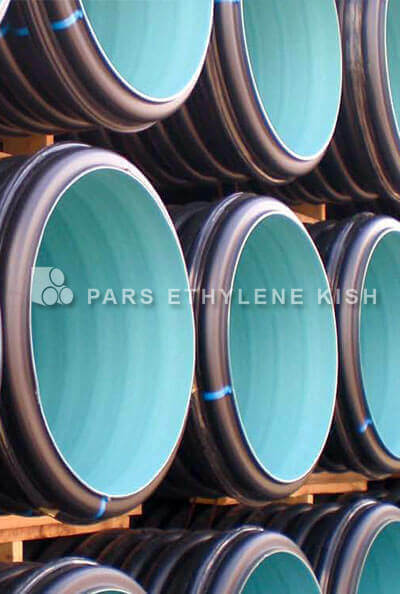 You can find the complete list of non-affective chemicals on PE pipes & PE fittings through the standards of pipes and fittings. 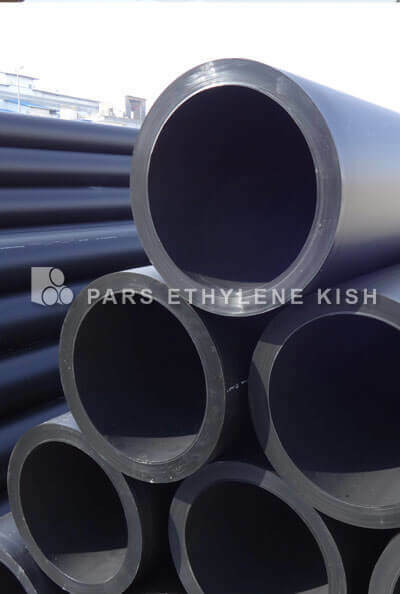 Since the inner wall of PE pipes and fittings are smooth with very low roughness therefore fluids can have a rapid flow within them. 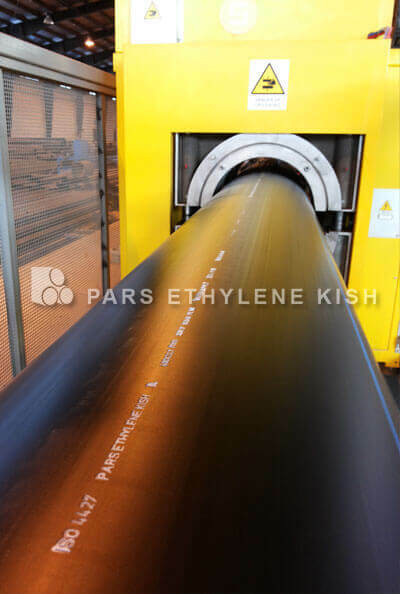 Parsethylene Kish supplies products with roughness co efficiency of 0.007. 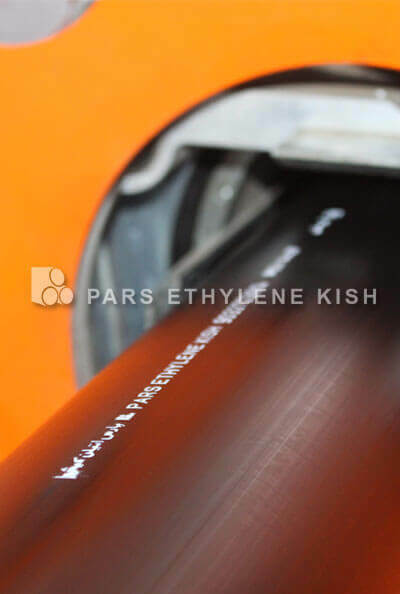 Parsethylene Kish supplies PE pipes in both shapes of coil and branch. 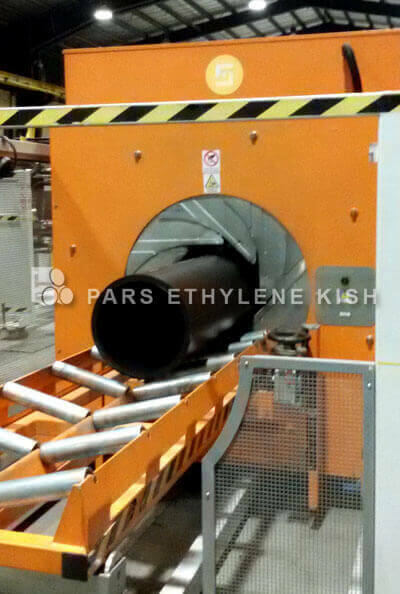 PE coil pipes which lead to cost savings are available in different sizes as below. Branches of PE pipes can be connected to each other in different ways. 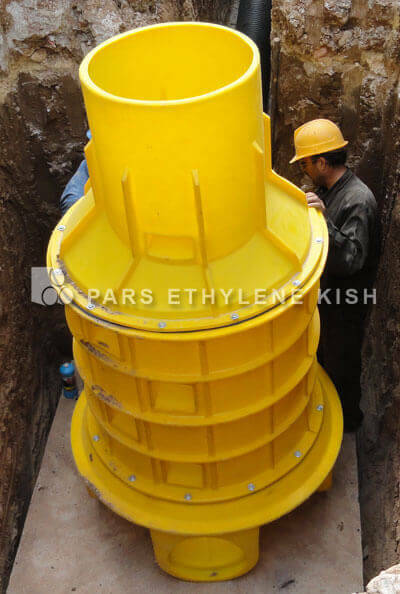 Parsethylene Kish provides a vast range of fittings & connections which are easily implemented and covers a professional network of pipeline. 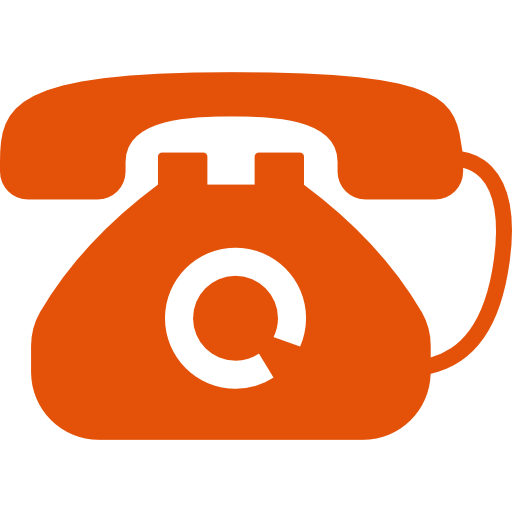 Our laboratory is an independent unit with modern equipments and measuring devices. 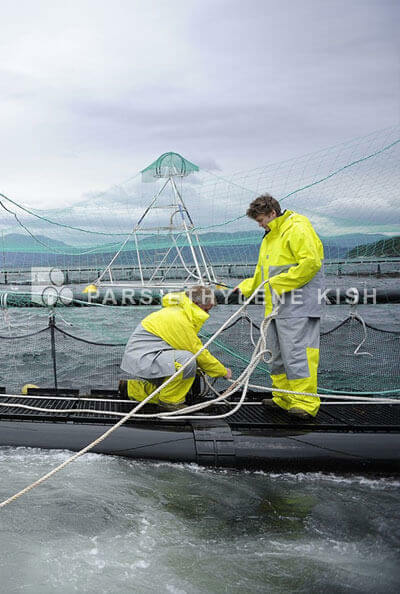 There for we can constantly control our whole inputs and outputs according to acceptable standards to ensure the ongoing products excellence as a reliable reference. 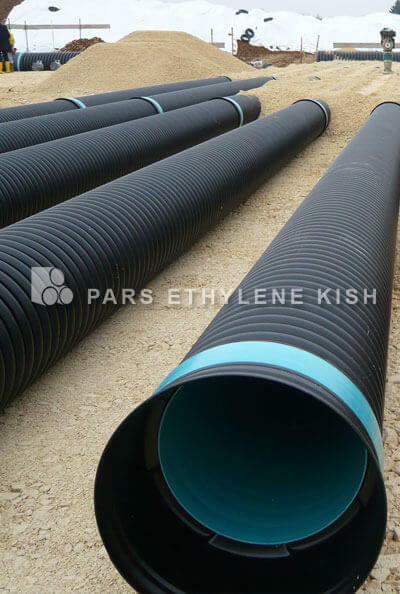 Polyethylene pipes and fittings have extensive applications like gas transportation, drainage,sewage, potable water, fire systems, cable shielding and pressurized irrigation systems. 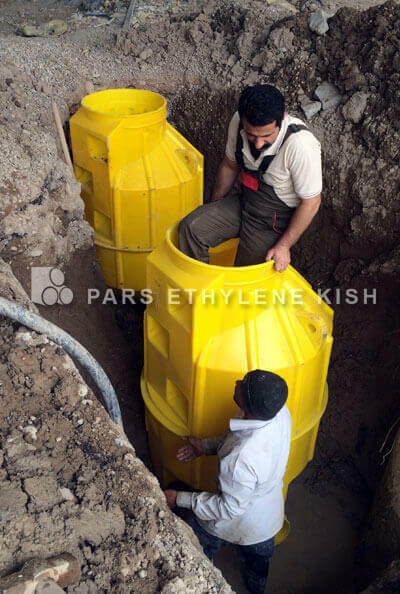 Although there are other applications for them in other countries – air conditioning systems,petroleum or sea water transmission pipelines- but still they don’t have practical usage in our country. 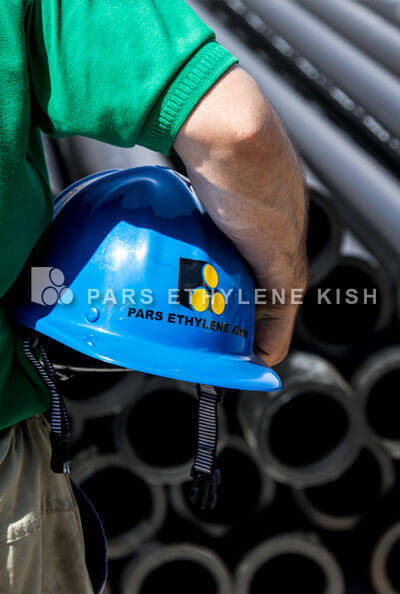 Parsethylene Kish supplies gas pipes and fittings according to European standards while PE pipes and fittings productions for water supplies, sewage, drainage and fire systems are according to German standard. Pipes of 12 to 110 are coil packed. 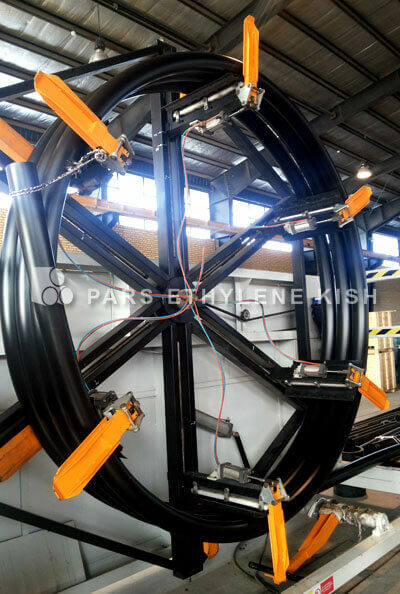 Pipes of 125 are packed in both coil and branch shapes of 12m, and for higher measures they are available in 12m branches.